The wine tasting bay cruises featured below are a standard sampling of packages to give you an idea as to what is available. Jennifer, as well as our yacht charter coordinators and captains, are very flexible and can work with you to customize a wine selection to pair with your luncheon or dinner, or other package for your event or occasion based on your needs. wines are featured. This tasting can be customized whether you prefer all reds, all white or a combination of both. The Gold Level tasting offers a selection of our rarest and best wines from our producers. It includes an education on the wines themselves and the stories behind the people who make them. This tour of the wine world spans the globe with selections from Italy, France, Spain and California. This tasting features five different wines customized to your preferences. cheese is carefully selected to match the wines being poured. 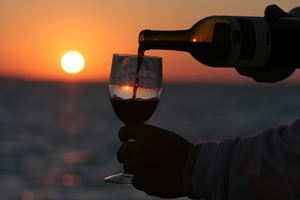 Enjoy a fantastic wine tasting experience while sailing or cruising along San Diego Bay. San Diego Bay Cruises has several yachts that would love to take you on a scenic harbor excursion while sipping on some of the world’s finest wines and pairing them with a delicious variety of foods. Sometimes it’s just great to get out of the house or office and just enjoy a peaceful venue aboard a private yacht without ever leaving the dock. This option allows you to enjoy the luxurious atmosphere of hosting a yacht wine tasting party and provides your guests with the ability to come and go as they please… or just sit and relax a while. 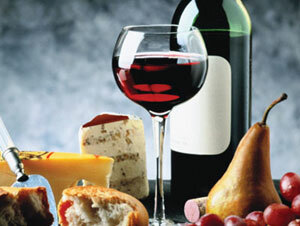 The above are basic suggestions of wine tasting events that Jennifer can put together for you. However, she can custom create any package for your party’s needs. *Charter and wine tasting packages do not include applicable port taxes and marina fees. Gratuities for the captain, crew, and Wine Consultant are not automatically included in your charter, but are cheerfully accepted. Although Jennifer is our Lead Wine Consultant, her expertise has put her in high demand. As such if she is not able to personally host your wine tasting event, another equally qualified expert Wine Consultant will be provided to host your event. You will always be guaranteed an exceptional wine tasting experience! 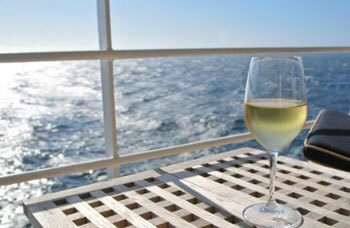 Host a Wine Tasting Event Aboard a Private Yacht! San Diego Bay is one of the most breath taking scenic water ways in the world. San Diego’s beautiful city skyline, the amazing San Diego Coronado Bay Bridge, wonderful sea life, and the best warm weather year round makes enjoying a wine tasting bay cruise aboard a private yacht the simplest recipe for a perfect day. Why deal with the traffic of having to leave San Diego County and travel all the way up to the vineyards, and then the long trip back (in traffic), when you can be relaxing and cruising San Diego Bay in a private yacht enjoying the warm sun, cool sea breezes, and fine wine? San Diego Bay Cruises is delighted to introduce you to Jennifer Williamson, our exclusive and knowledgeable Wine Consultant. 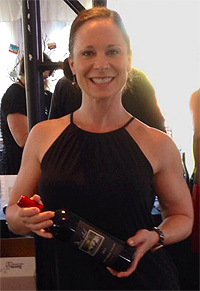 Jennifer is a lead Wine Consultant with San Diego based Quigley Fine Wines, a direct importer of exceptional quality, artisan wines from family owned, sustainable, small production vineyards. An experienced professional with a deep knowledge of wine regions, varietals and history, she makes your wine tasting event not only fun, but a fascinating educational experience, as well. She will provide you with detailed information on each wine featured at your wine tasting, including information about the vintner and creative food pairings. Is it Shiraz or Syrah? How do you pronounce Pinot Noir? Jennifer will answer all the questions you’ve always been too embarrassed to ask in a restaurant? She will provide you with detailed information on each wine giving you confidence when serving your guests at your own dinner party, or next time you have dinner at your favorite restaurant. We encourage you to add a wine tasting experience to your yacht charter and allow Jennifer to present you with fine wines from around the world. There are private wine tasting party ideas in the right side column of this page that will help you decide exactly how you can make your next wine tasting bay cruise event perfect. Jennifer will be happy to help you coordinate your special occasion and make suggestions on foods and catering. San Diego Bay Cruises will help you book the the most suitable yacht for your party where everyone will be comfortable and enjoy a memorable experience. Your wine tasting experience doesn’t have to stop at the end of the charter. After Jennifer introduces you to these fine wines, you’re going to want to keep some handy at home to share your new knowledge with your friends, family, and colleagues. As such, Jennifer will be happy to provide you with an opportunity to order the same wines (and even some you haven’t tried yet) and have them delivered directly to your home or office.